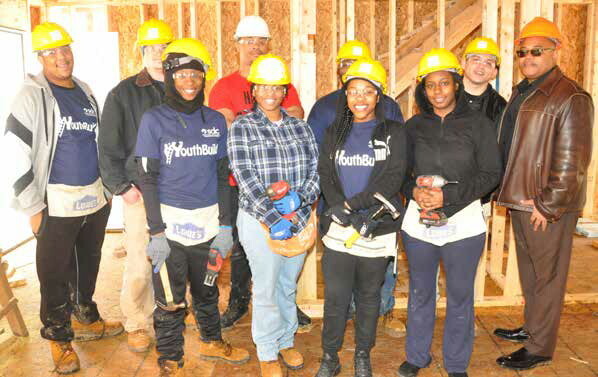 On Thursday, March 14, 2019, local students from a variety of Milwaukee Public Schools volunteered to help build a house through Habitat for Humanity. The experience not only provided the students the opportunity to learn a new skill and have an amazing experience for their college and work resumes; but they also provided a chance for a local family to complete their dream of owning their own home. This particular home is part of Habitat for Humanity’s ambitious Midtown 100 project, now in its second year. Currently, volunteers are working to meet the non-profit’s goal of building, rehabbing or repairing 100 homes in the neighborhood. The initiative is being funded by local corporations like Wells Fargo who recently presented Habitat with a $200,000 grant to help local families.